Final rehearsals prepare a group from East London Dance for their Royal Opera House debut. Over the last five months we’ve been working with East London Dance on a project based on Othello, and this Saturday will see a triple bill of their own choreography and composition they’ve created. 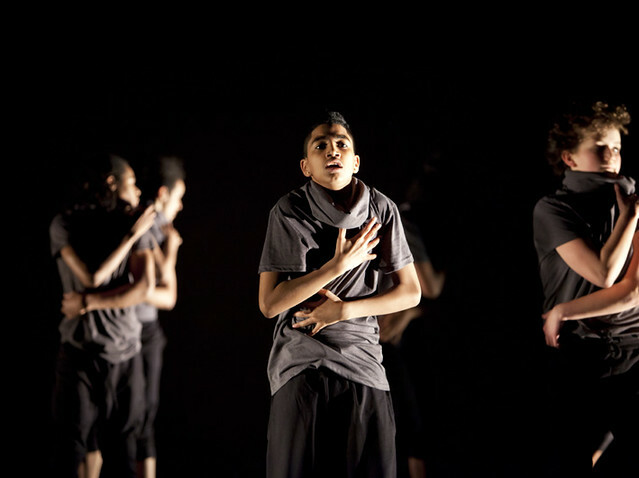 Street Stories: Trails Be-Trayals has involved 45 young performers aged between 14-21 and is a completely new dance piece, created with support from experienced choreographers. Using Shakespeare’s Othello as a starting point, the young dancers have been mentored by choreographer Kerry Nicholls and composer Paul Griffiths as they’ve devised the new work. As well as workshops from choreographers and composers, the group have also experienced taster sessions with professional artists who work in the world of film-making, spoken word, costume and set design. If you’re interested to see a fresh take on a story that will be performed later in the year - when Verdi’s Otello comes to the Royal Opera House main stage - there are still some tickets available for Saturday’s premiere. Although not part of this year’s World Shakespeare Festival, Trails Be Trayals shows the power of the Bard to continue inspiring young people.